Perfectly lovely three bedroom Brick Colonial in a terrific location: right across from South Ardmore Park. Updated kitchen with breakfast bar opens to Dining Room. Master Bedroom features one of the two updated bathrooms. Covered front porch that faces the park so you can watch all the games. 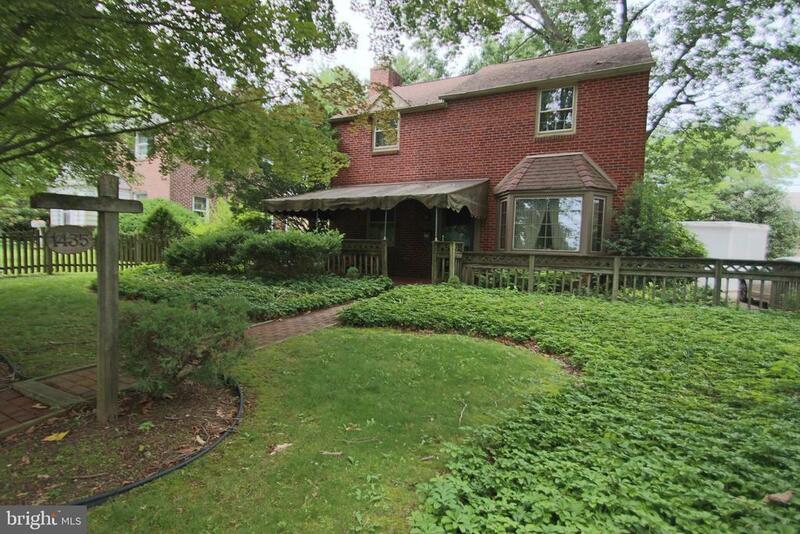 Plus, full finished basement with wet bar and powder room; attached 1-car garage. Three year old HVAC. Great house ready now. Directions: From Wynnewood Rd. to Spring to Sussex. Directly across from South Ardmore Park.